In this day and age we often watch SEO take a starring role in the online world. There is no denying that search engines are the biggest (potential) source of traffic to your site and you would be a fool not to embrace this, but what are some alternative ways of generating traffic? 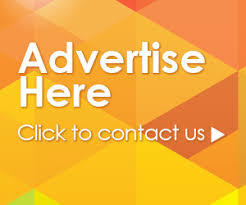 I’m going to leave out the obvious option of paying for ads whether on Google, Facebook or other banner ads as I want to focus on unique ways that don’t require you to pay an advertiser. From Twitter Tools to controversial topics, there are several great ways that you can get traffic to your site without using a search engine. Find a way to bring users back, whether through a competition (like the Shoemoney babe of the month) or by posting a user video of the month. There are many ways that websites can get a user to remember a site they have just visited. Offering incentives is key, create a forum and offer gifts for every 1000 posts – this gives users a reason to keep coming back again and again. If you are able to achieve this through a competition, game or any other means, it will get users to bookmark your site and even tell their friends about it. It could even help your website to go viral. Help out bloggers or a newbie that needs you. If a beginner or someone new to the industry leaves a comment, sends an email or approaches you in a friendly and polite way, don’t brush them off because of their lack of experience. Help them! Or at least reply, you never know, they could become successful one day and remember your kindness and assistance. Easier said than done; but creating a unique tool or service and hosting it on sites like Google apps or other free places could really benefit your site. Plus, there are lots of bloggers out there who blog everyday about new tools that are released. It needs to be a tool that provides a service, informs or entertains you. Having a tool on your page bar that lets you know the weather in your area or another location could prove to be very effective. What will result is an increase in traffic flow over time or even sudden bursts as your tool gains exposure. Services like Opensite explorer have no doubt brought their creators the traffic they were hoping for… and then some. When it comes to a picture or video, there are so many out there that it may not seem very original, but the fact remains that videos are a great source of traffic. Videos that are well done can be free adverts for your site while bringing in the traffic. The Old Spice brand received an overwhelming amount of traffic following their videos on YouTube that each received more than 20 million hits – this illustrates the value of a viral video. Don’t just make any graphic, I would advise an infographic (if you don’t know what this is, Google it) on relevant and current events. If you do it right, such as this one on the Royal Wedding, you may get a number of backlinks and the amount of traffic you desire. 5. Offer a course….for FREE! Whether you run a cooking website or are an online marketing company, there is an opportunity to create a course that people can take for free. You could even get it registered and accredited so people can add it to their CV’s. This will not only be huge PR, but will set you as an industry leader, meaning that traffic will flow to your site. If you can’t create a course then offer ‘how to’ videos or PDF’s on the net that people can watch and download. That cooking lesson video could be just what gives you the edge. It goes without saying that social media is a must. For some the idea of using this may not be unique, but the way in which you use it may be. I would advise you to get your business on as many social media platforms as possible. Not just Facebook and Twitter but LinkedIn, Bebo, Digg, Reddit, Stumbleupon and all the rest – the list goes on and on and the more the better. Once you have set up your first few you will see that you can generally link all of them and share back and forth. This will allow you to maximise the reach you have on each platform and get your news or products out there, ultimately getting traffic back to your site. With regards to Twitter, I have made it its own sub-point because I am a huge believer in its traffic possibilities. Twitter, in my eyes, is far more of an effective marketing and business tool than Facebook. There are so many Twitter tools that can be used, such as Tweetwally and Twiends, that getting followers now means you can also direct traffic to your site. Having 20 000 followers’ means that every Tweet you make creates potential. So if you are not focusing some of your online marketing on Twitter, wake up! You should be. Bringing users back could be achieved by creating controversy. It’s a known fact that people love drama otherwise we wouldn’t watch the news, debate politics and religion, read gossip magazines or check Twitter to see what everyone is up to. The bottom line is drama creates a vibe, whether positive or negative, that also creates traffic opportunities. Look at an issue with a passionate audience and create a blog or article post (could be a video) that challenges these beliefs (e.g. show your evidence that global warming is a lie), or throw insults at a very popular person or topic. Be prepared to defend your opinion as traffic will be sure to fly in! If you are online you will know that lists are everywhere. Top 10 this, top 10 that, so for this you need to think outside the box. You could start by focusing on a controversial or current popular topic. Challenge old ways of doing things by creating revamped lists that will draw traffic in from old lists. Also, make use of your social media to promote and get attention to you your list. If unique or spun in a smart way, you’ll definitely see some nice traffic. Cale Pissarra completed a Bcom PPE and Post grad, before joining R.O.I. Media in 2011 as an SEO consultant. Having a passion for his Arsenal blog led him to the online world of internet marketing and website design.